Natividad is proud to introduce its new magazine, Peak Health. 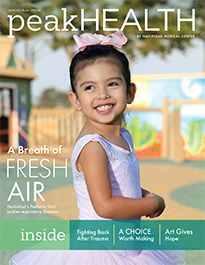 Conveniently provided in both English and Spanish, the magazine inspires healthy lives by sharing stories of top health practices at the hospital, inspiring patient experiences, and glimpses of Natividad’s work both in the hospital and in the community. It will help you reach your own Peak Health.